The 43-year-old finished the four-day event with one shot ahead of his American rivals Dustin Johnson, Xander Schauffele, and Brooks Koepke in second place. While others lost their cool, like when Francesco Molinari hit two double bogeys on the final day, Woods rolled back the years to hold his nerve. 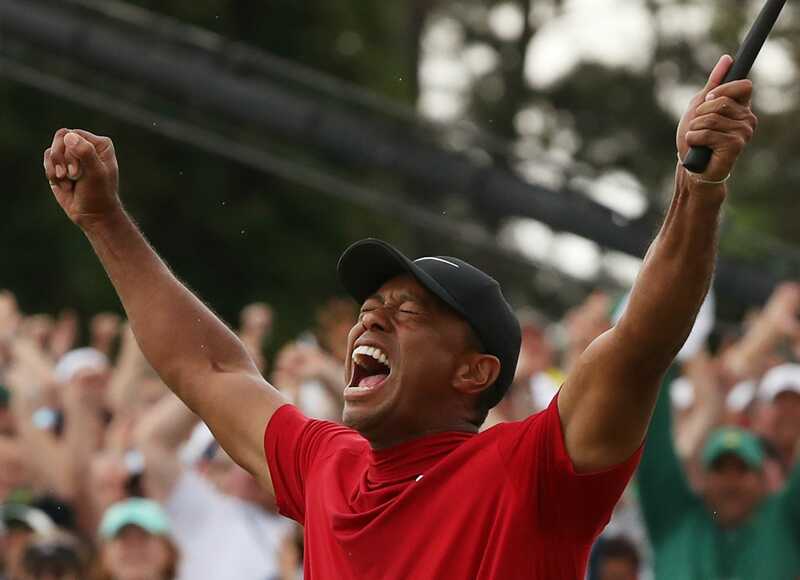 The win trumps Woods’ most recent success when he won the Tour Championship in September last year, ending a trophy drought that lasted 1,876 days when he claimed the WGC-Bridgestone Invitational in 2013. His latest victory also ends a major dry spell that lasted 3,955 days since he won the US Open in 2008, making it one of his sweetest triumphs to date. Woods has had to overcome scandals in his private life, a 2017 arrest when he was found asleep in his car with the engine running, and four back surgeries. To get a sense of how far back Woods has come from his injury problems and off-the-course troubles, take a look at his official world golf ranking. In December 2017, Woods had fallen all the way to 1,199th in the world. A little more than a year later, after winning the Masters, he is up to No. 6.